We are happy to announce two new journals, Royal Society Open Science and Ecological Applications, that will be making it easy for authors to archive their data in Dryad through integration of manuscript and data submission. 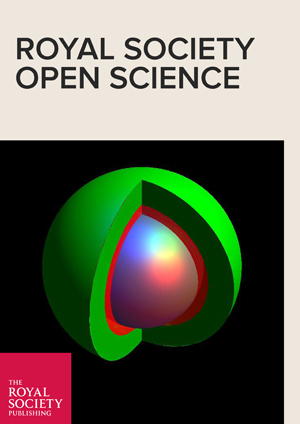 Royal Society Open Science is a new open access journal. It is the first title from The Royal Society that welcomes contributions from across science, engineering and mathematics, and the ninth to integrate with Dryad. The Royal Society will sponsor the Data Publishing Charges on behalf of its authors. Ecological Applications is the second integrated journal published by the Ecological Society of America, and it comes on the heels of a strengthened data policy that came into force at the beginning of 2014. For both journals, authors submit data to Dryad upon acceptance of the manuscript. For a full list of integrated journals, with instructions for each one on when to submit, whether authors may elect to embargo their data, and whether Data Publishing Charges are sponsored, please see here. Dryad welcomes submission integration with scientific journals irrespective of whether the organization is signed up for a payment plan or is a member of Dryad. The submission integration process works with many different online manuscript processing systems. It is lightweight and customizable to each journal’s needs. Please contact us if you would like to consider submission integration for your journal. This entry was posted in Journals and tagged submission integration by Jamie Lamkin. Bookmark the permalink.